It has been almost a year since the first time I've made kimchi! It was time to make it again! 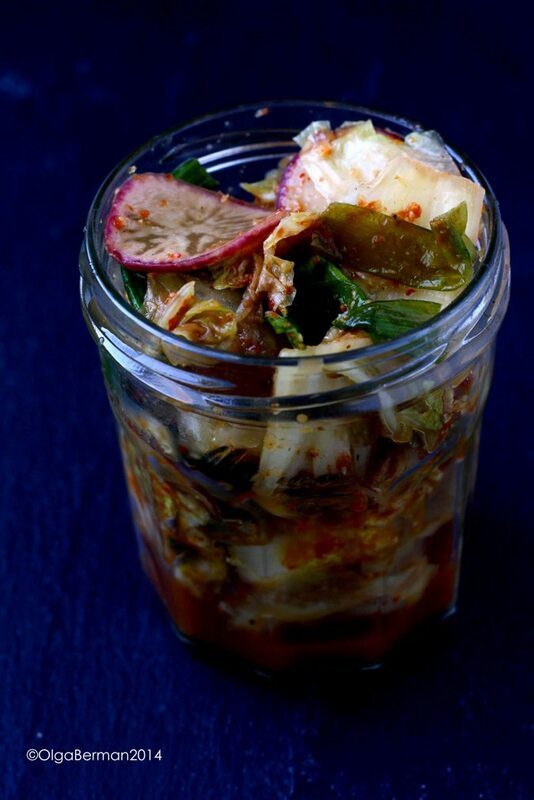 I had a large Napa cabbage at home that needed to be used, so why not make kimchi? Once again, I used Joe Yonan's recipe from Eat Your Vegetables. You can see the recipe here. 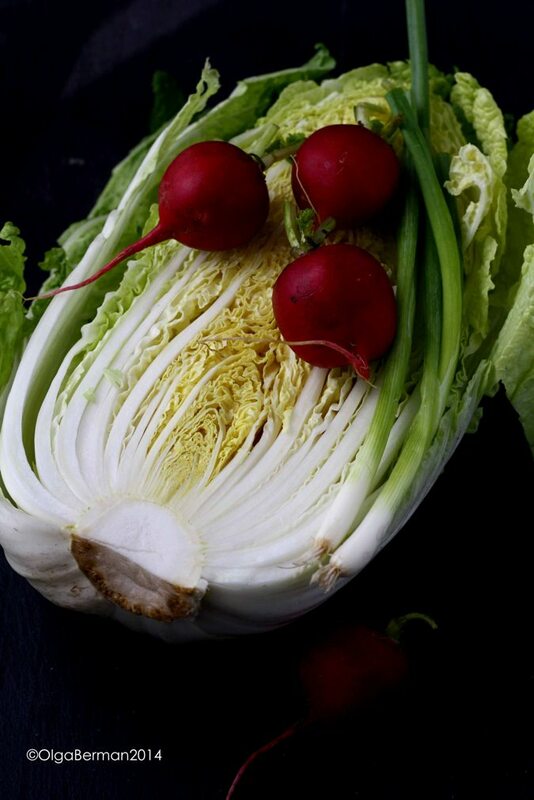 I did make two little changes to the recipe inspired by Fabiola from Not Just Baked: I added 5 radishes and 6 scallions. 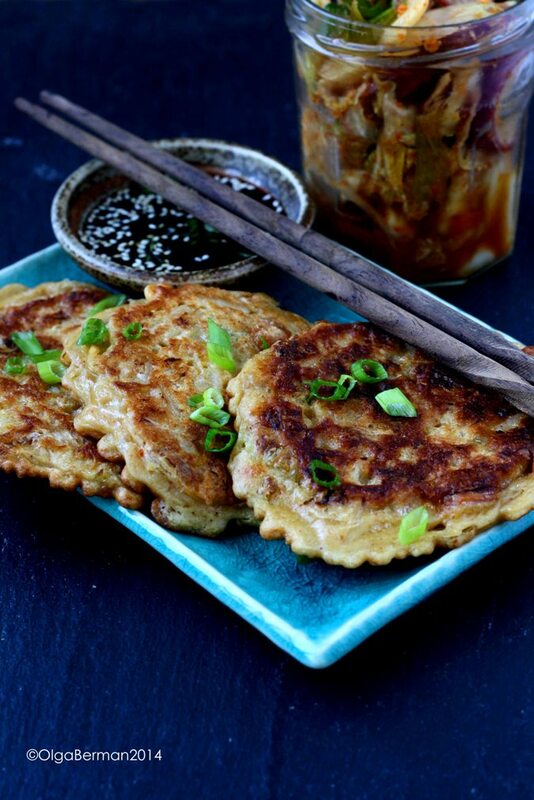 Once kimchi was ready, I decided to use it to make Kimchi Pancakes! 1. 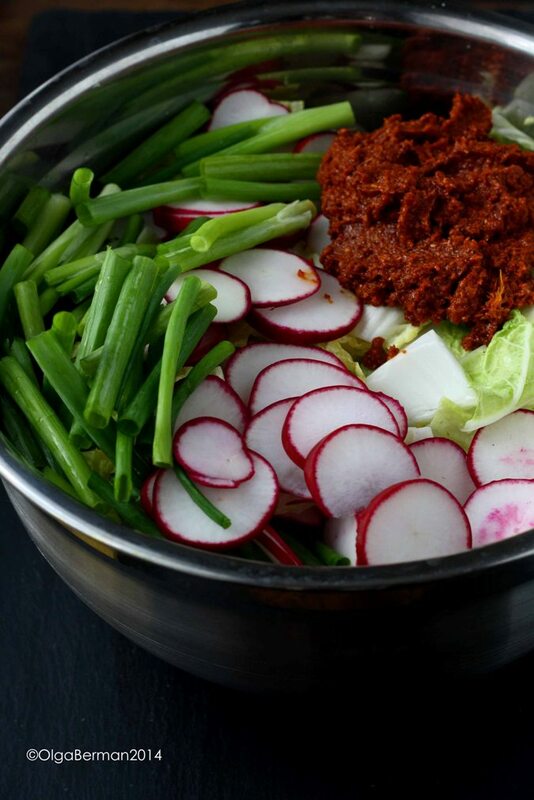 In a bowl mix together flour, water, kimchi liquid, egg, and chopped kimchi. 2. Heat a skillet and add enough oil to cover the bottom of the skillet. Using a 1/3 cup measure form pancakes and allow them to cook for 4-6 minutes on each side until they are golden brown. 3. 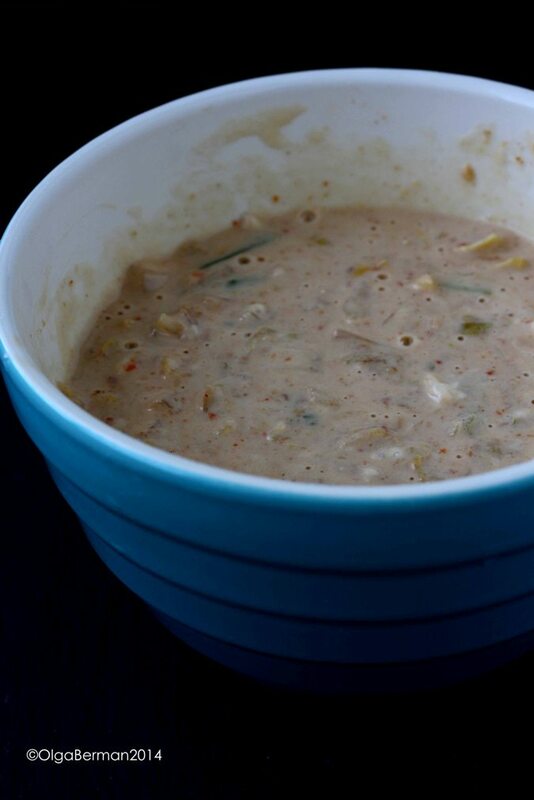 Mix together low sodium soy sauce with fresh scallions and sesame seeds for a dipping sauce. 4. 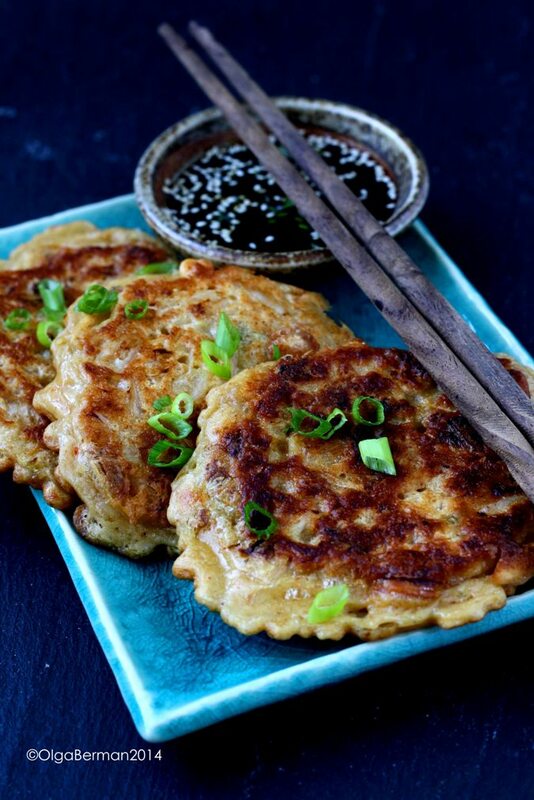 Serve kimchi pancakes IMMEDIATELY topped with fresh scallions and a side of the dipping sauce. Thoughts: these were great. 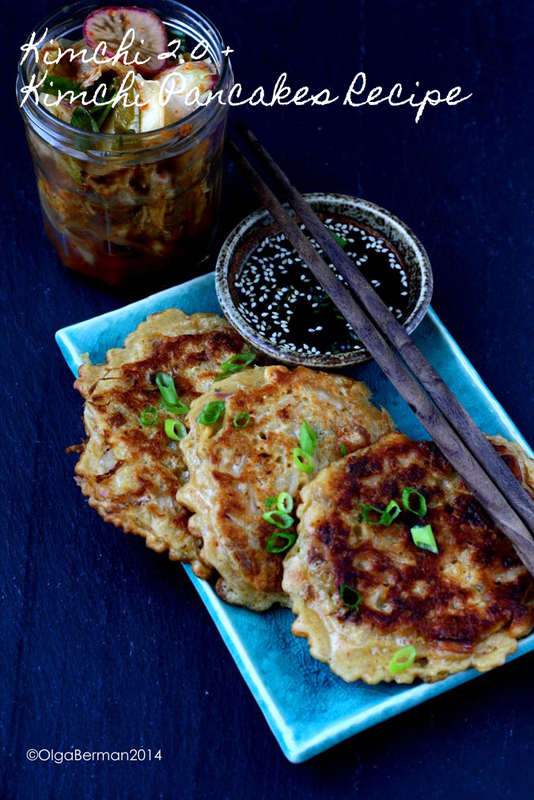 I love savory pancakes, and kimchi added intense flavor to this dish. You really must serve/eat these immediately because they get soggy as they sit around. Clearly, using more oil would make these crispier. Apparently adding a bit of baking powder to the batter will make pancakes crispier too. Thanks for the tip @KoreaFoods!